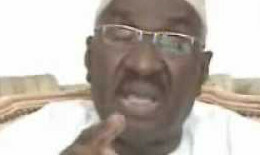 Born in 1937, Seydina Oumar Sy is a former Senegalese politician. He served as the Minister of Trade from 1988 to 1990, before becoming the Foreign Minister in 1990 until 1991. He has continued to be active in politics throughout his life having recently chaired a committee at the 11th session of the Organisation of Islamic Cooperation in Dakar in 2008.